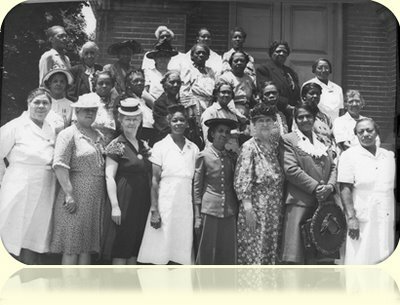 Another image collected for the encyclopedia is of individuals attending an American War Mothers convention held at First Baptist Church in Frankfort, Ky.
Newswise – Everyone wants to make their mark on history, and the Kentucky African American Encyclopedia Project will make that possible for student researchers, scholars and the public. The project is reaching out to individuals interested in contributing to the creation of this one-of-a-kind encyclopedia, thought to be the first state encyclopedia of its kind in the nation. Editors have begun compiling the volume at their offices on the University of Kentucky campus. The publication, which is scheduled to be published in 2011, will include information on individuals, events, institutions and movements that shaped the Commonwealth. Another unique element of the project is the editors’ invitation to the public to participate in the creation of history by submitting entries interactively to the Kentucky African American Encyclopedia. 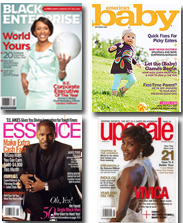 Through the Kentucky African American Encyclopedia Web site individuals can submit ideas for entries to the publication and even craft the submissions by contracting with the project. People can select entries from the current subject list or even recommend a subject for inclusion in the volume, which will be comprised of more than 1,000 entries. Criteria for selections are online at www.uky.edu/kaae/selection.html. Final selection of entries will be made upon recommendations of the book’s 14 topical editors to the encyclopedia’s general editors and the University Press of Kentucky, the publishing press. Those individuals wishing to submit an entry should contact the project via e-mail at uk-kaae@lsv.uky.edu.